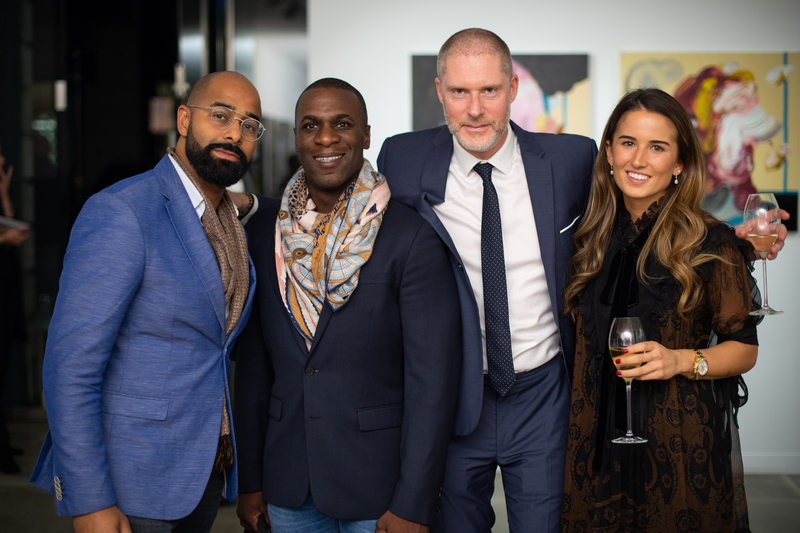 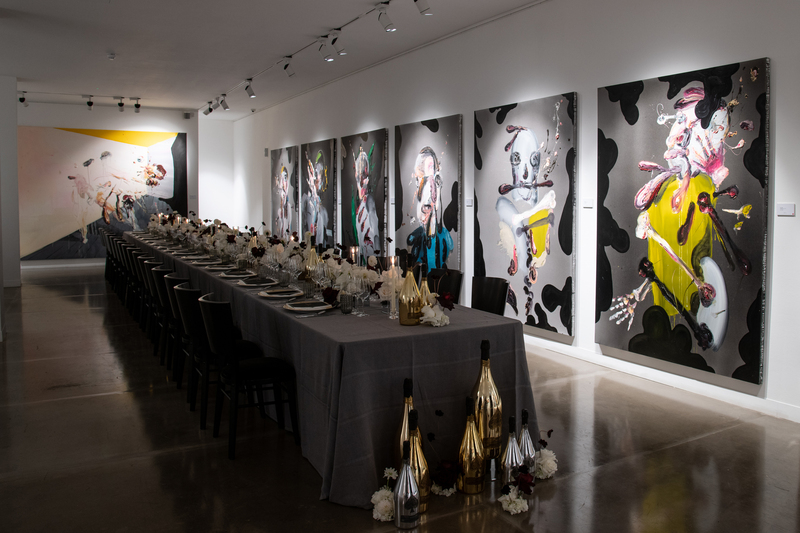 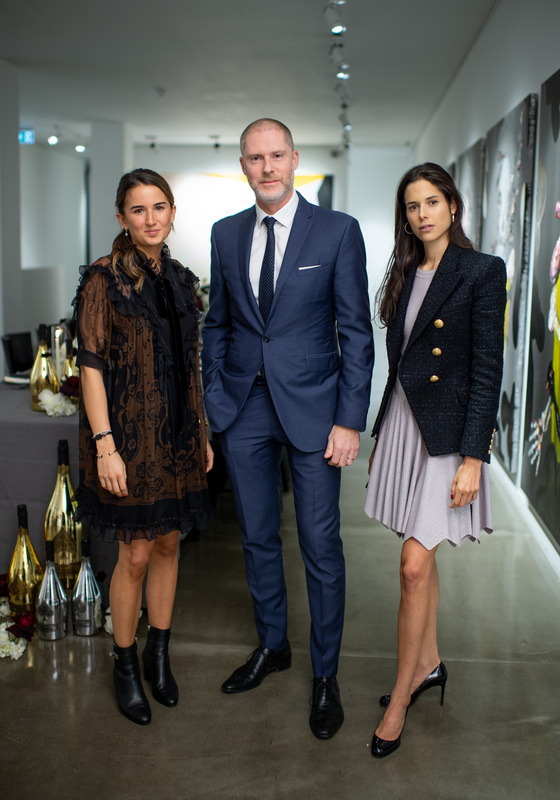 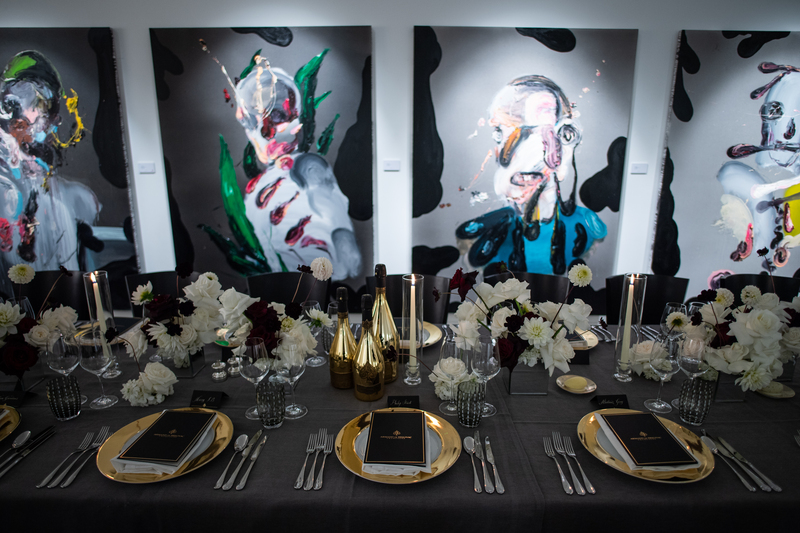 LONDON, Mayfair, October 2, 2018: Champagne Armand de Brignac hosted an exclusive prestige champagne dinner in London to celebrate the art world with internationally recognized curator and art expert, Jean-David Malat and celebrated Turkish artist, Zümrütoğlu. 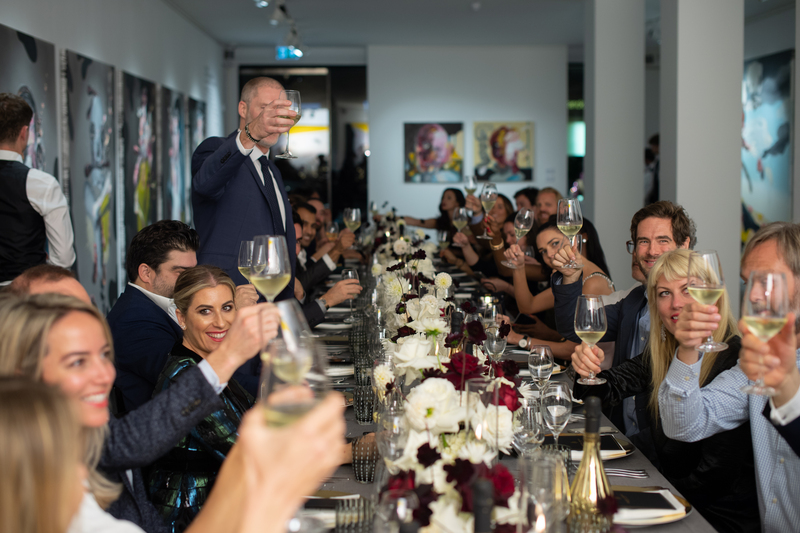 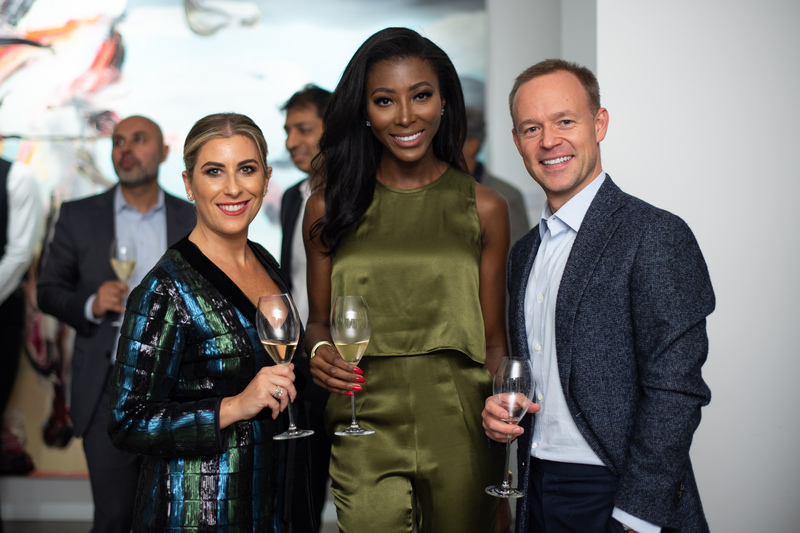 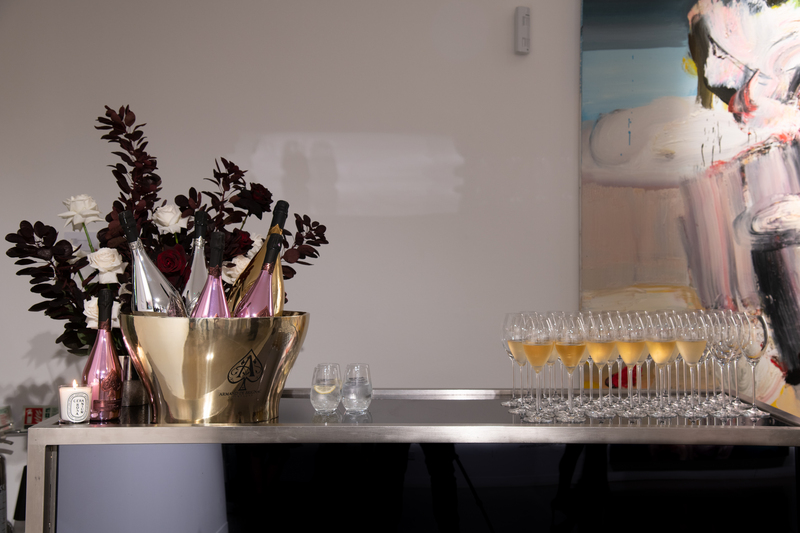 The intimate dinner was set inside the stunning gallery space and brought together some of the art world’s most prominent collectors and experts ahead of one of the Capital’s most exciting art weeks, Frieze. 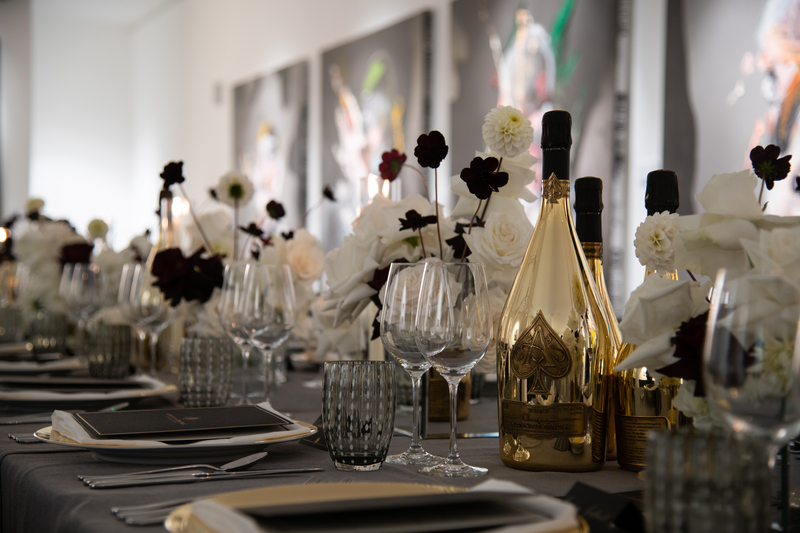 A four-course menu was paired with rare Armand de Brignac Magnums exclusively, including Brut Gold, Rosé and a very special tasting of the exceptionally rare Blanc de Blancs en Magnum, of which only 2,000 bottles were created. 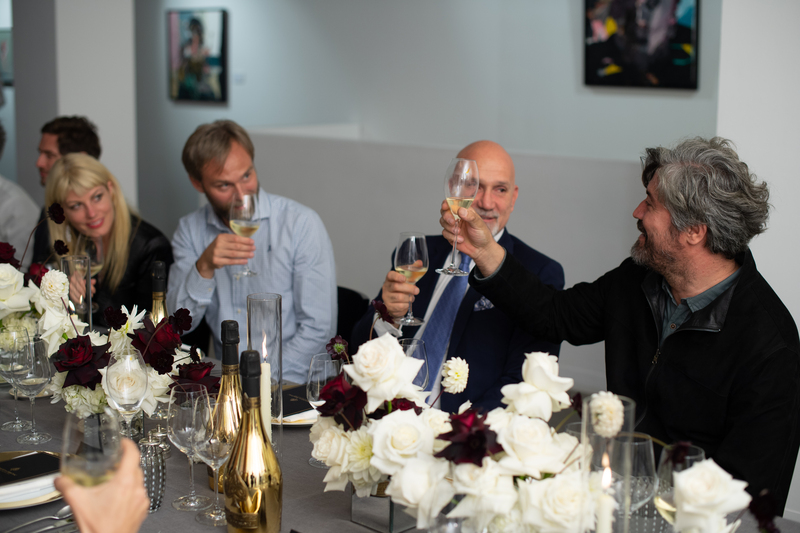 The evening ended with a champagne toast to the artist, Zümrütoglu and a Q&A about his inspiration and the meaning behind the hanging masterpieces which are part of a solo show, entitled Mirror of Darkness.